I’ve been making green smoothies for a while now, and this is it. This is the one I drink every day, and has the most amount of awesomeness, and best of all, it tastes very nice too! Other fruits and veggies I like to add: green/red cabbage, endives, lettuce (especially ones with dark leaves) and pineapples. I recommend having one of the most awesome blenders ever, Vitamix to do the blending. Either add everything in at once and use the food tamper to press down, or add a little each time and blend until it’s all smooth. Everything is now nice and smooth. 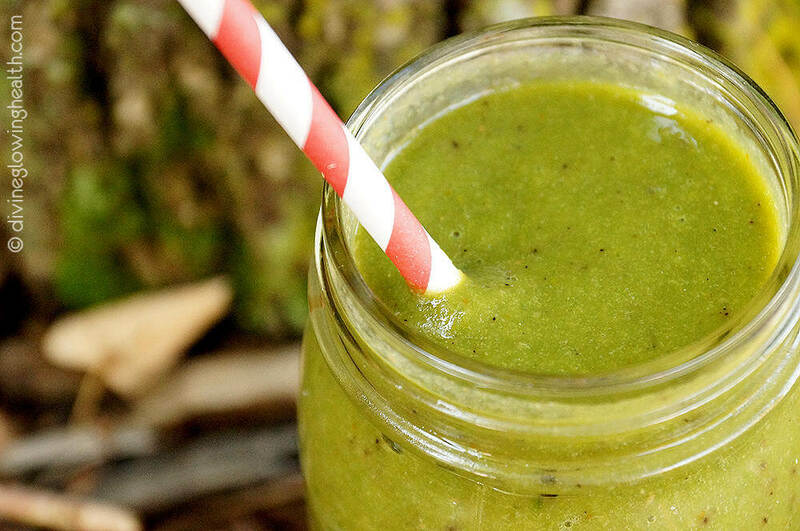 Result: A wonderful green coloured smoothie that will do you the world of wonders.